We are continuing our efforts to work with Palm to clear the path for a full editing version of Documents To Go. 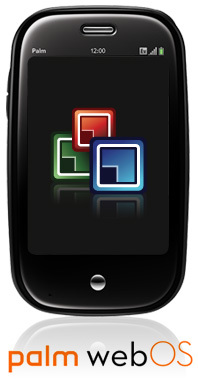 However, given the current environment at Palm, as well as the necessary collaboration with the device manufacturer that is required to bring an app like ours to a platform like webOS, our Documents To Go editor product for webOS is essentially at a standstill. As soon as we have any additional information, we will inform you immediately. Thanks for your passion surrounding our solution. We've gone from hope, to hoping for Early 2010, to 'no ETA,' to a 'standstill.' This is a big blow for Palm, since true document editing was one of the missing pieces for making it a true business phone. We don't want to parse words too closely here, but when we read 'given the current environment at Palm,' we're not exactly filled with warm feelings. Pretty hard to see this as anything put DataViz putting the ball in Palm's court. If nothing else, this news puts an exclamation point on the interest in X-Server/Open Office and other community-based attempts to build an office suite for webOS. Update 4/27: Not sure if DataViz is just looking for more attention, making sure that their email-only customers are up-to-date, or just trying to set our tipline on fire from folks who missed this post five days ago... but they've emailed the same text from the above blog post out to their email list of people waiting for webOS. In other words - they're pretty serious about this here work-stoppage. Thanks to miles4000 and Colonel Kernel for the tip!